Most Questars were dumb terminals, but the M was essentially a rebadged Micral series 80 - a Z80-based microcomputer. These were rarely seen outside of France. 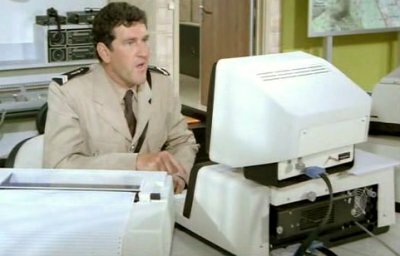 The new police headquarters is equipped with the Bull computer. 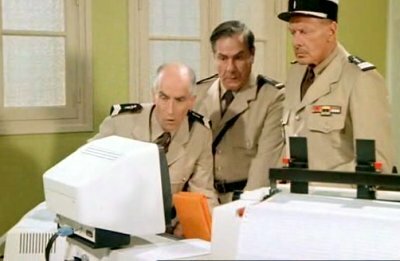 The gendarmettes are kidnapped in attempt to retrieve data from the computer.